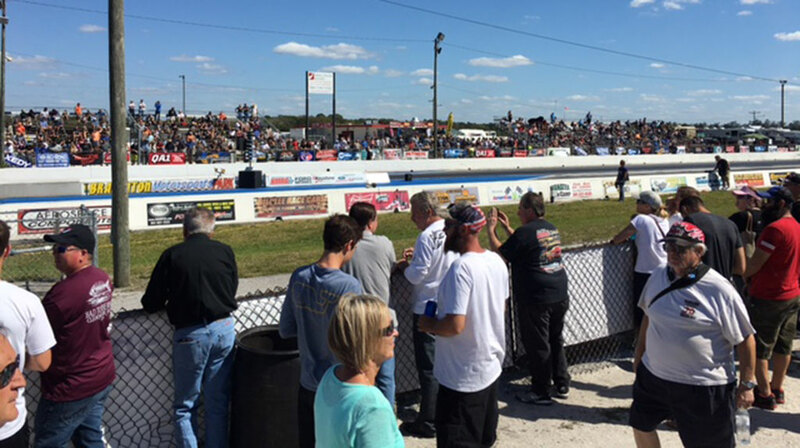 TREMEC kicked off the 2017 season for fans of the third pedal and NMRA drag racing with healthy burnouts in the bleach box and gear-banging action all the way down the ¼-mile drag strip at Bradenton Motorsports Park. 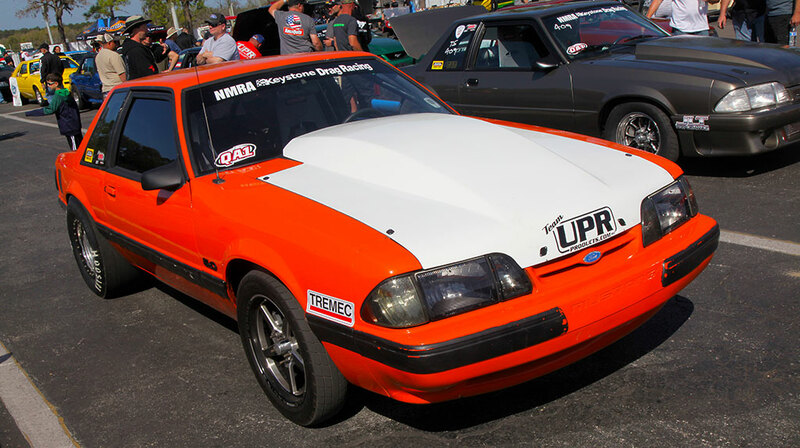 As part of the annual NMRA Spring Break Shootout, the TREMEC Stick Shift Shootout pits some of the best gear-slingers in the quarter-mile from the popular NMRA True Street class against each other for bragging rights. The winner receives his or her choice of any TREMEC transmission. If you’re not familiar with True Street, the rules are simple: It’s open to any Ford-based street vehicle that is street-certified to drive the 30-mile street trial that is part of qualifying for this class. Vehicles must be registered, licensed, insured and running street-legal tires front and rear—no slicks. Each car makes three runs, and the average of those three is the final result. 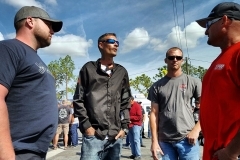 To then qualify for the TREMEC Stick Shift Shootout, a car must have an H-pattern-shifted manual-transmission, but modifications such as face plating and pro gears are allowed. Transmissions must be operated by a single shifter handle; air/electric/hydraulic actuation or multiple shift levers are not allowed. 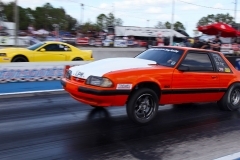 The TREMEC Stick Shift Shootout takes the eight fastest manual-transmission cars and, in a twist that’s new for 2017, the top four compete against one another in single elimination competition. 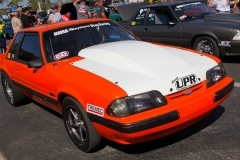 Unlike regular True Street competition, the TREMEC Stick Shift Shootout is a heads-up format that pitted the first and fourth fastest cars against each other along with the second and third fastest. 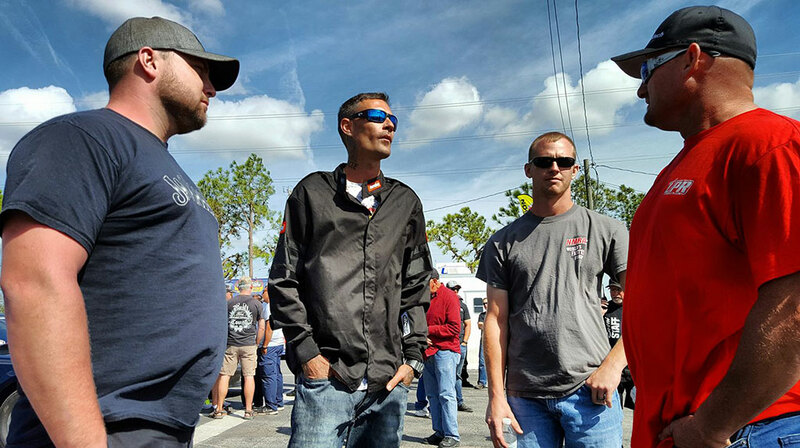 The four finalists for the TREMEC Stick Shift Shootout at the 2017 event all had sub 10-second True Street averages. 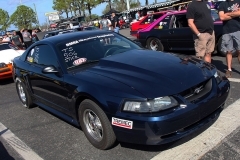 It came down to Chris Crosby in his TREMEC Magnum six-speed–equipped 2001 Mustang GT, Harrison Cumbie in a TREMEC TKO 600-equipped 1987 Mustang LX Coupe, Anthony Heard in a TREMEC Magnum-equipped 1999 Mustang Cobra clone and Daniel Watts in a TREMEC Magnum-equipped 2003 Mustang Cobra. 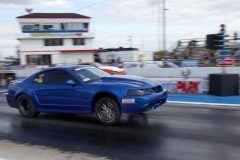 First up was Anthony, a previous TREMEC Stick Shift Shootout winner, against Chris. After burnouts, both driver’s crept into the staging beams, but before the Tree went green, Chris redlighted with a -0.008 reaction time, giving the automatic win to Anthony. 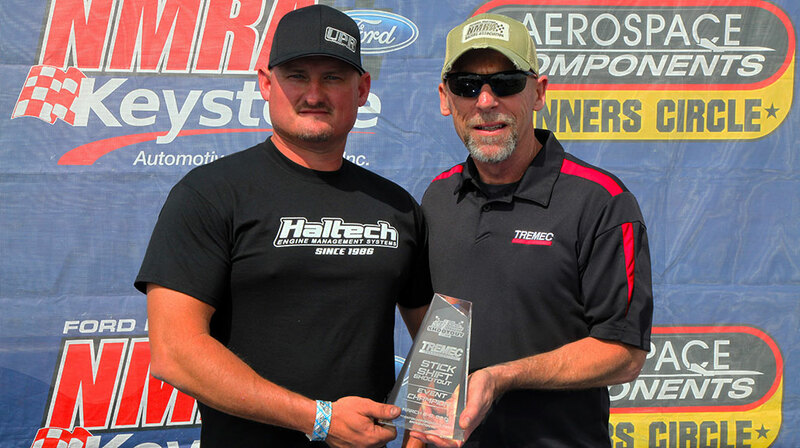 Even though he’d already won, Anthony still went all out, putting down the fastest TREMEC Stick Shift Shootout time ever, with a 8.985 seconds at 154.53 mph to Chris’s 9.683-second run at 142.97 mph. 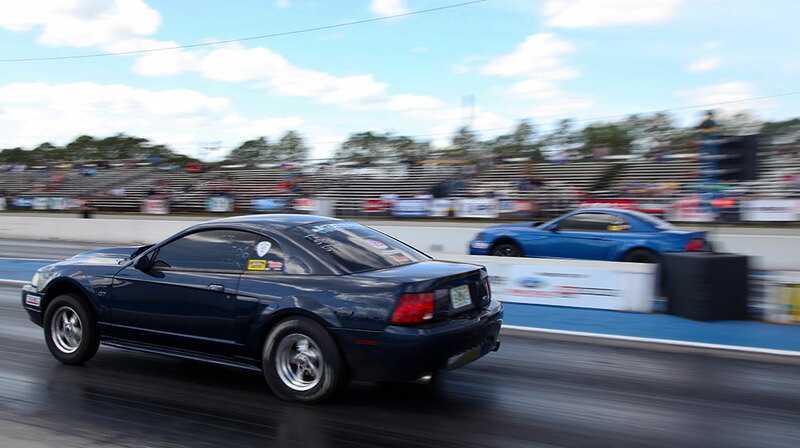 The second matchup featured the only non-New Edge Mustang in the group: Harrison and his 1987 LX Coupe against Daniel in the 2003 Cobra. Both cars were pretty evenly matched, and Harrison’s 0.524 reaction time was nearly equaled by Daniel’s 0.527 reaction time. 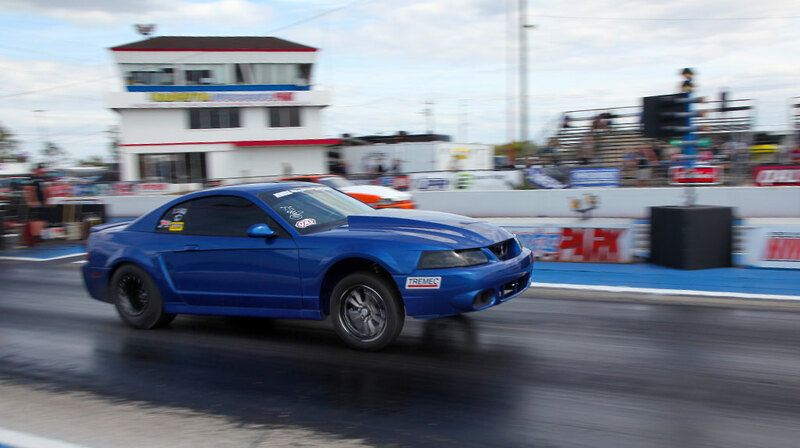 That razor-thin advantage was all Harrison needed—he went through the lights with a 9.631-second E.T. and 144.78 mph to Daniel’s faster mph of 146.65 mph, but slower E.T. of 9.724 seconds. 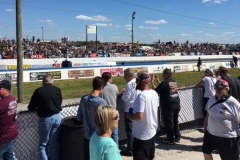 In the final, both Anthony and Harrison made methodical burnouts and rolled up to the lights ready to face off for the TREMEC Stick Shift Shootout crown. 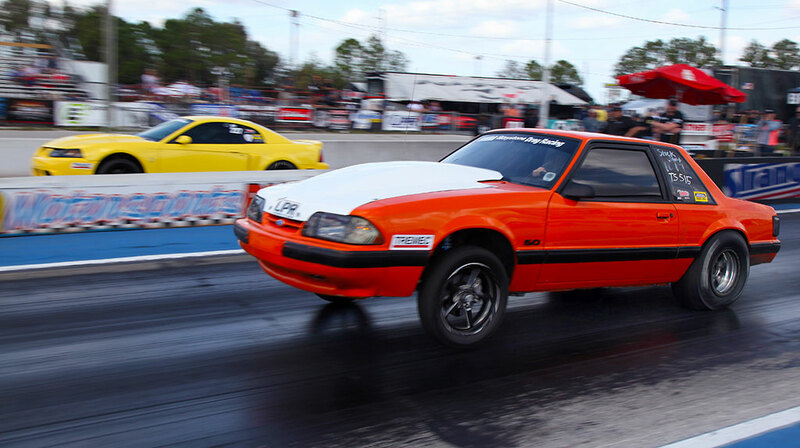 After seeing Anthony’s 8.985-second run in the first round, Harrison knew he’d need everything his Fox-body could muster. But off the line, Anthony got the jump with a lightning-fast 0.097 reaction time against Harrison’s 0.347, and from there it was a hole-shot victory. 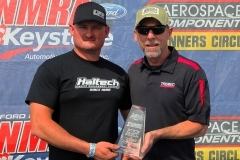 The TREMEC Stick Shift Shootout title went to Anthony, with a 9.192-second pass at 149.15 mph over Harrison’s 10.475 seconds at 108.17 mph. 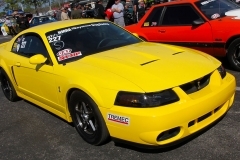 Making Anthony’s victory even more impressive was that his 1999 Mustang was only recently completed, and he’d had very few passes on the car and its new 331-inch pushrod V-8 and Precision 76/75 turbo. 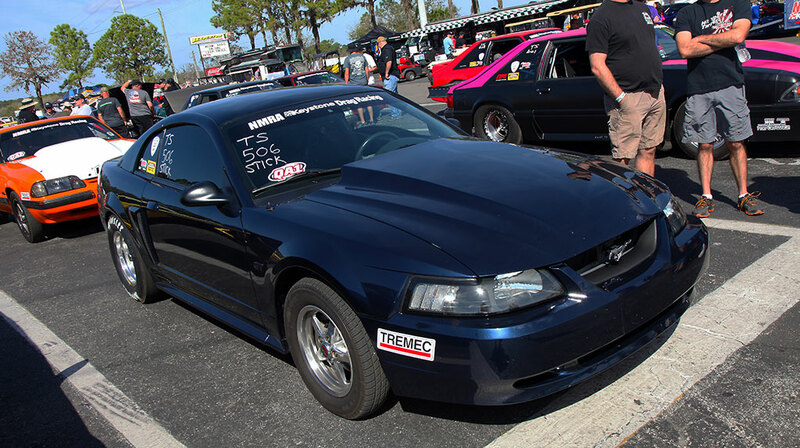 Along with taking the title, Anthony won a brand-new TREMEC transmission, and he chose to take home a TREMEC Magnum XL. 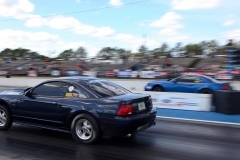 Watch the TREMEC Blog for a future feature on each TREMEC Stick Shift Shootout finalist and their Mustang! I am running a Liberty faceplated TKO 600 behind my 550 hp Chevy. I have already broken the case once. How do you guys run so hard and keep the TKO from breaking? I know guy’s running in the 8’s on synchronized transmissions. How do we get signed up for this event? You can go to NMRAdigital.com for information on how to register for this event. 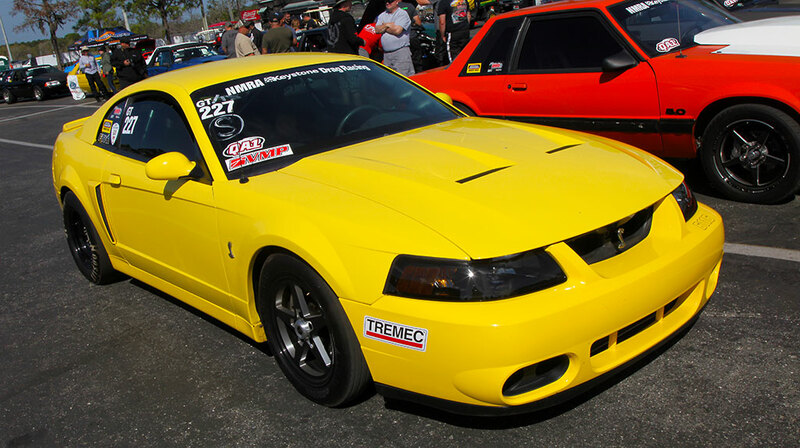 The car must be entered in the True Street class in order to qualify for the TREMEC Stick Shift shootout. Good luck!